Amara Raja celebrated it’s 32nd Foundation day with full fervor and zeal at it’s Head Office in Tirupati on Dec 20th 2017. 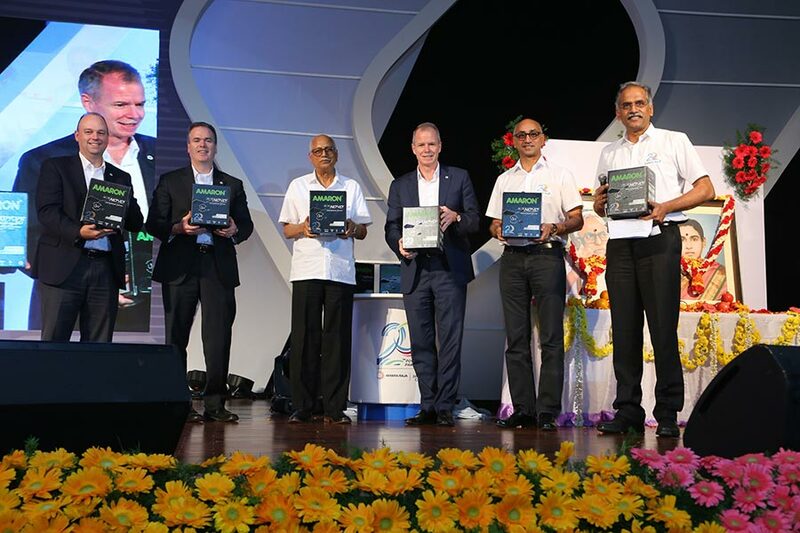 Dr Ramachandra N. Galla, Founder Chairman, Amara Raja Group and Mr Jayadev Galla, Vice Chairman, Amara Raja Group welcomed the chief guest Mr. Mr George R Oliver, Chairman & CEO, Johnson Controls who graced the occasion to also celebrate 20 years of Joint Venture Partnership with Amara Raja. Various events were organized for observing the company’s 32nd Foundation Day, which received a large participation from the employees of Amara Raja. 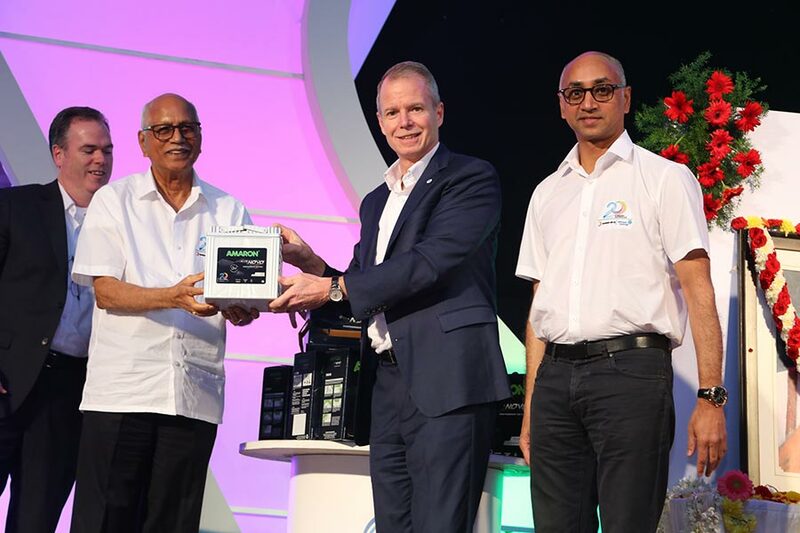 The foundation day event witnessed “Powering Partnership” themed celebrations to mark the 20 years of partnership of Amara Raja Batteries Limited(ARBL) and Johnson Controls. To mark this special occasion, ARBL launched a special Coffee Table Book capturing memories of its two-decade long journey with Johnson Controls. Also, a special partnership edition battery AMARON Hilife NOVO was released during the event. The partnership edition product will be made available exclusively at AMARON pit stops and offers special privileges to the buyers including unlimited warranty. During The Foundation Day celebrations Amara Raja Group unveiled a new corporate film which received a thunderous applause from the employees. Awards were presented to employees in recognition of excellence in performance in various categories. The celebrations also witnessed various cultural programs by employees and external artistes. The Johnson Controls team participating in the celebrations was led by Mr. George R. Oliver along with 9 members of Global and Asia Pacific(APAC) leadership teams from Shanghai (China), Singapore and Milwaukee (USA). Mr. Joe Walicki, President- Power Solutions, Johnson Controls and Mr. Trent Nevill- President, Asia Pacific, Johnson Controls were among the members of the leadership team. On behalf of Johnson Controls, thank you to all who have contributed to the success of Amara Raja Batteries and Johnson Controls partnership. Congratulations on twenty years of growth and success, and I look forward to decades more. It is a very happy occasion for all of us at Amara Raja. We have had a successful journey till now and the success is a result of all the efforts put in by the employees of the Amara Raja Group. We will continue our pursuit for excellence and strive for transformation and betterment of the society. In last 32 years, we have grown from grass root level to a world class and a state of the art company. Today the world is looking at us and the future is full of opportunity. Our hard work of all these years will continue to guide us in the future as well. We have set ourselves aspirational growth targets in pursuit of our vision and will continue to create high social impact in everything we do.